provides expert stone setting for outdoor living areas. 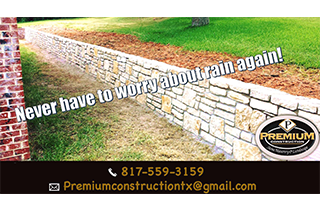 When you need a reliable stone setting contractor in Arlington, TX, look no further than Premium Construction Stone Masonry & Landscape. 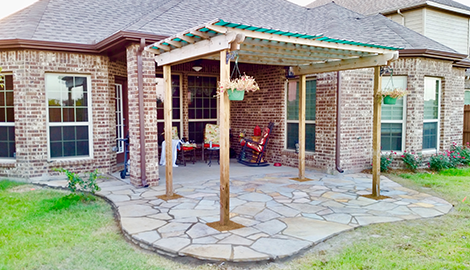 We will transform your yard into an outdoor living paradise. For quality work that guaranteed in writing, you cannot go wrong. We welcome single visits and ongoing service agreements, so speak with us today! Premium Construction Stone Masonry & Landscape is the local masonry expert you can trust every time. 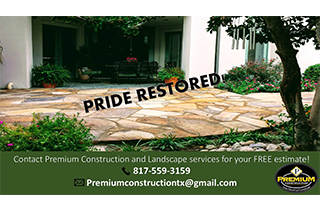 All your biggest landscaping needs are covered with Premium Construction Stone Masonry & Landscape. 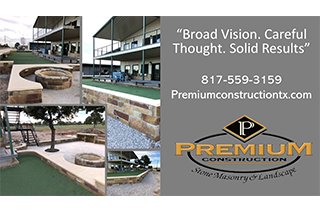 At Premium Construction Stone Masonry & Landscape of Arlington, TX, we operate on the motto that careful thought creates solid results. 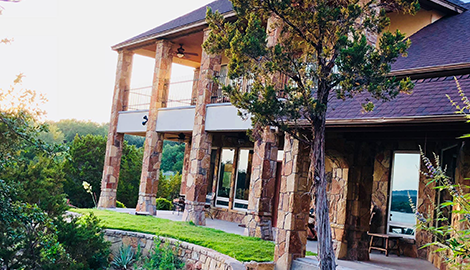 With our specialties in stone setting, masonry, and landscaping, these results show in every project we complete in both residential and commercial settings. We are a full-service, outdoor living contractor, and we love creating major transformations in what were once tired, uninspired gardens and empty or overgrown yards. 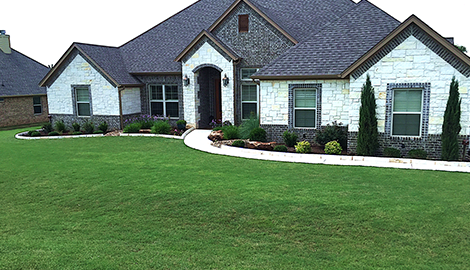 Our landscaping services are available as single visit services—you can call us when you need us for tree trimming, planting, watering, and general lawn maintenance. We also welcome ongoing landscaping appointments for customers who want to keep their lawns and gardens healthy and thriving year-round. You will be the envy of your neighbors when you hire us to look after your outdoor areas because we will keep them neatly manicured, irrigated, and pristine. Combine our landscaping services with our stone work and you can add beauty and value to your outdoor living areas. We professionally design and build stone walkways that can wind through your garden to invite guests to explore. Our retaining wall designs will level out uneven yards to create more a useful space. If you want to create your own personal oasis, check out some of the waterfalls, pools, and ponds we have created, and let us know what ideas you have for your yard. Our masonry services are second to none, and we have over 25 years of experience in the industry. Our master masons will beautifully reface your home with intricate stonework, and we do complete builds in brick work and concrete. From laying driveways to professionally restoring chimneys, Premium Construction Stone Masonry & Landscape is the company you can trust to keep your home strong and beautiful. Get Free Estimates on all your masonry repair and construction needs! Call us today during regular business hours to arrange your quote, or leave us a message, and we will get back to you immediately.